In light of Chelsea’s recent transfer ban, the club will be forced to utilise their youth and loan players. Here are the Blues’ five most influential returning players that will feel like new signings. Maurizio Sarri’s side have recently been handed a transfer ban from the FIFA Disciplinary Committee and will be stripped of their ability to purchase players in the next two registration windows. Chelsea have since appealed the decision how FIFA rejected such approach, meaning the club will consider making use of their world famous long list of loanees. Jay Dasilva is an English left-back who is currently on loan at Bristol City who currently sit ninth in the Championship. Dasilva has made 23 appearances for whilst on loan and has kept seven clean sheets. The on-loan left back could prove to become a pivotal figure in the Chelsea side for years to come due to current uncertainty around whether who is the Blues’ favourable left-back. Since the departure of Ashley Cole, Chelsea hasn’t found themselves a longstanding replacement. Dasilva has the physical attributes, the ability to get forward as well as the discipline to defend – characteristics Sarri found pleasure in with Faouzi Ghoulam at Napoli last season. Mason Mount is an attacking midfielder currently on loan at Frank Lampard’s Derby County with a combined nine goals and assists this season. The European Under-19 champion has showcased his qualities going forward and ability to press from the front. Chelsea’s midfield options will be potentially reduced next season and Mount will be looking to make his breakthrough. The midfielder will offer his technical quality from set plays and goals from midfield. Reece James is an exciting English right-back who is currently on loan at Wigan Athletic making 38 appearances in all club competitions. With only two players in his position at Chelsea, James will be challenging for a place in the starting eleven. Since the arrival of Sarri, the Blues have adapted to a new style of play and Cesar Azpilicueta initially found it difficult to match the offensive demands of the Italian manager. However, in recent times the Spanish defender has moulded his game. In contrast to James, age is not his side. The on-loan Latics defender has proved his ability in the Championship and won three consecutive club Player of the Month awards as well as having played the most minutes for Wigan in the Championship as of 22nd February 2019. Chelsea signed Christian Pulisic in the January transfer window for £58 million from Borussia Dortmund, however, sent the American winger back on loan to the German club for the rest of the season. Pulisic has only made 25 appearances for Dortmund this season contributing to five goals. The 2017 American Footballer of the Year has struggled for minutes in Germany starting just six games. The Blues will be looking forward to Pulisic joining the Chelsea squad, injecting pace and excitement in attack . With current wingers such as Willian, 30, and Pedro, 31, a new youthful acquisition will be welcomed. A selection of Eden Hazard, Callum Hudson-Odoi and Pulisic will excite many Blues fans. 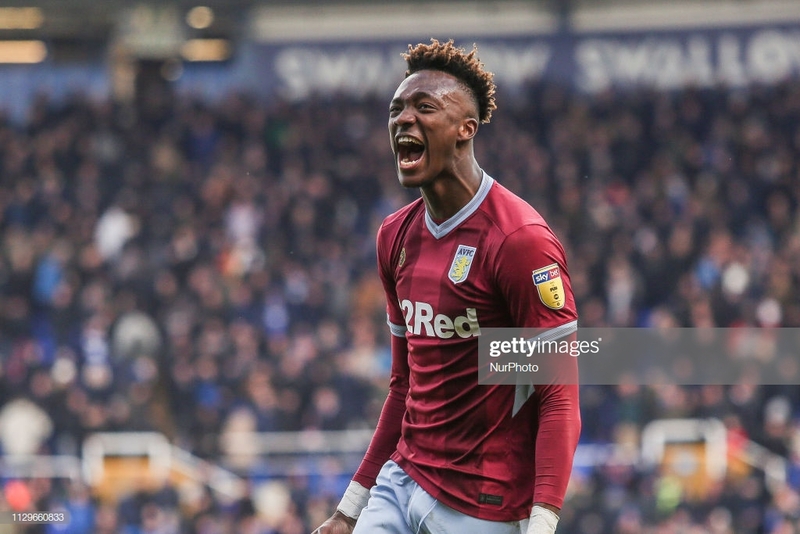 Tammy Abraham will potentially be competing for a starting eleven place in Sarri’s side next year having scored 21 goals this season for Aston Villa. The Blues have the option to sign 31-year-old Gonzalo Higuain but a youthful option in Abraham may be of preference to Sarri. Abraham will want to prove that he has the ability to play in the Premier League for Chelsea. The 21-year-old has scored 55 career goals at senior level in 118 games – almost a goal every two games. A young, physically gifted striker with an eye for goal will turn heads at Chelsea. The transfer ban could prove to be a blessing in disguise for the London club.